[map] [street view] Due east of Corinth, Mississippi on County Road 200 (Farmington Road), just east of County Road 177. 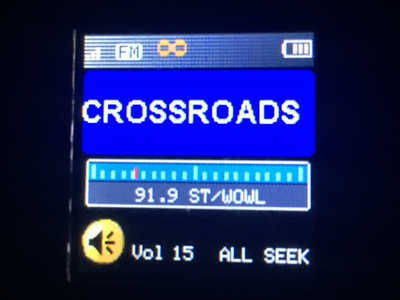 [Image] Radio's RDS text display as seen on an Insignia HD portable. 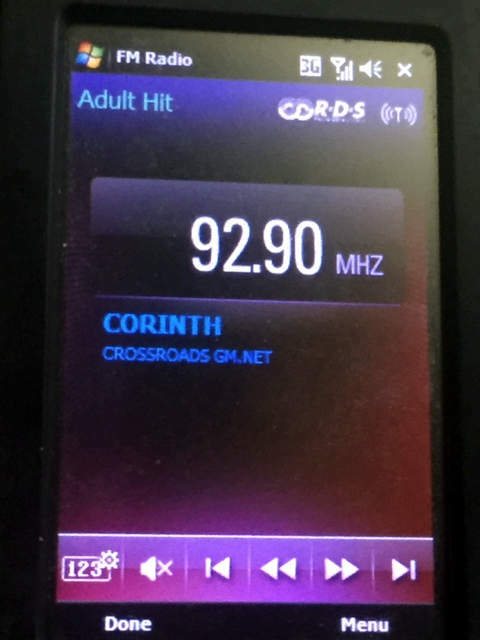 [Image] RDS display on the same radio, but via the translator W225AB in the Florence area. [Studio] Fun 91's studios as seen on Street View in downtown Iuka, Mississippi. This station, with its eclectic mix of music on a non-commercial channel, got started in 1999, when it came on the air as WOWL. Those calls were previously on a TV channel in Florence (now WHDF). The station's RDS data has been used in the past to send "shout outs" and hellos to listeners, as well as send the station's request line phone number.